Aida is an epic tale of love, loyalty and betrayal. With music by Elton John, lyrics by Tim Rice, and book by Linda Woolverton, Robert Falls, and David Henry Hwang, it went on to win 4 Tony Awards in the year 2000. The musical rock opera was originally based on Giuseppe Verdi’s and Antonio Ghislanzoni’s opera of the same name. With an unforgettable score, featuring soaring ballads and rousing choral numbers, Aida is a modern crowd-pleaser that embraces multicultural casting and exuberant dancing, staging and singing. 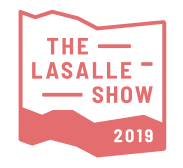 This event is part of The LASALLE Show 2019, an annual graduation showcase of contemporary art, design and performance.